Kasey graduated from Illinois Wesleyan University in 2012 with a bachelor of arts in English-writing. She graduated with her master of sciences in College Student Affairs from Eastern Illinois University in 2015. Illinois Wesleyan provided her with opportunities to diversify her skill-set through the broad spectrum of course offerings and to heighten and define her leadership skills and commitment to volunteerism. 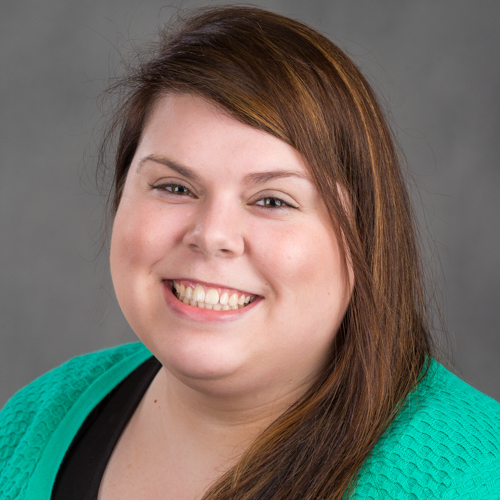 She is a proud member of Kappa Delta Sorority, serving as President as a student and continuing her involvement by advising for two collegiate chapters, including the IWU chapter. She is also a proud volunteer for the Hugh O'Brian Youth Leadership (HOBY) organization and an active member of the Council for IWU Women.